In most cases we will ship your order using the United States Post Offices First Class or Priority Mail services. Within the United States, delivery time is about 3-5 days after being posted. Shipping prices are based on weight and in most cases you will save on shipping charges when you purchase more than one item. Insurance and delivery confirmation services are also available (additional costs may apply). The prices quoted for each item is the first class or priority mail price for the single item described. If you wish to purchase multiple items please contact us with your zip code so we can quote you appropriate shipping charges. 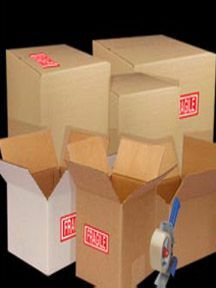 We take great pride in packaging our products securely to ensure that they arrive to you in one piece. It is recommended that you purchase insurance for any item you feel might get damaged. Although we pack each item with protective padding, we cannot foresee what happens to the package after it leaves our control. With delivery confirmation, you can track your item on the internet. Express Mail is also available for overnight or next day delivery. Your item will be processed and shipped within 24 hours after we receive your payment. We know that once you pay for it, you want to get it. International shipping charges are calculated by the weight of the item and where its going. Airmail shipping is the most common and cost effective way to ship around the world, however, Global Priority and Global Express services are available with additional fees. Please contact us at info@thecanonball.com with any questions about shipping prices and services.